The Colorado River has cut through canyons, cultures, and centuries. Here are nine chapters in its fast-flowing journey. 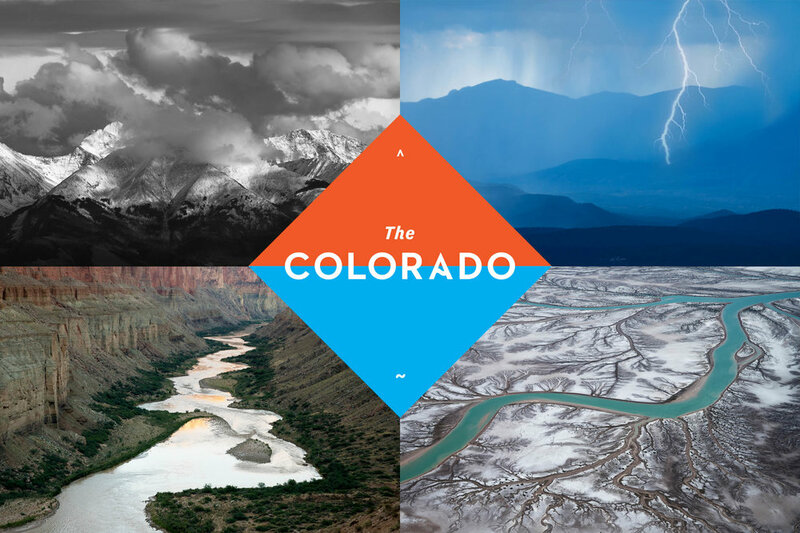 For five million years the Colorado has carved some of the most majestic landscapes on the planet. It has also become the lifeline of a vast portion of North America, providing the water that sustains nearly forty million people, half a dozen major cities, and an immense agricultural empire. Because of these demands, the river is so overused and overpromised that it no longer flows to the sea or nourishes its delta. The Colorado, set to music by today’s leading composers and narrated by the stage legend Mark Rylance, takes us on a journey in nine chapters through the prehistoric settlements of the region, the period of European exploration, the dam-building era, modern industrial agriculture and immigration, and the impact of climate change. The Grammy-winning vocal ensemble Roomful of Teeth, cellist Jeffrey Zeigler (Kronos Quartet), and composer-percussionist Glenn Kotche (Wilco) perform the film’s exhilarating score. "performed by some of the most innovative soundsmiths around"
"A multidimensional portrait... alternately spectral, dazzling, ugly, and phenomenal." "a striking, thoughtful and cautionary piece of art"